Have you ever heard people talking about if you write it down, make a to-do list, a wish list, a design board; those things will happen? It makes you wonder if it really works. So, why not just do one of your own? What can it hurt? Create a list of what you’ve been wanting to complete, what you’d love to have, and how you envision it all if it were to happen. Once you’ve written it all out, step back and take a look. Is it doable? Can it all be done? The answer is most likely yes!! Don’t keep “talking” about what you want to get down, plan it out and let it happen. 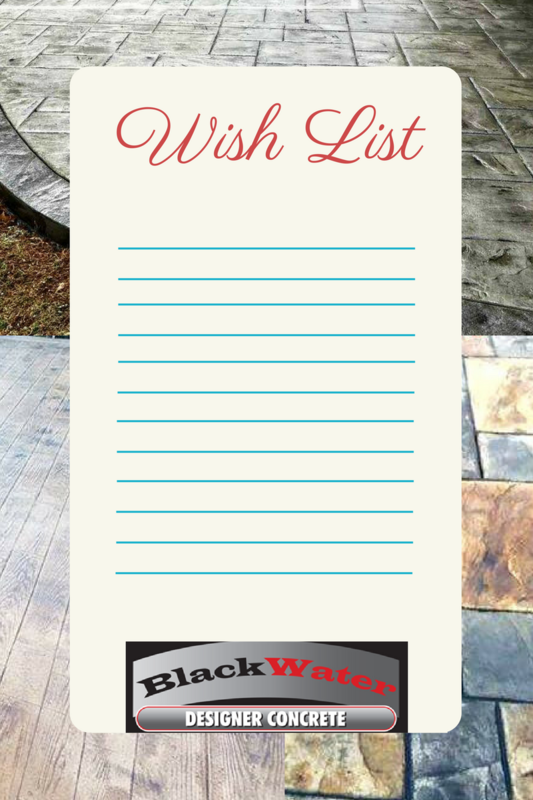 Download our Wish List, write down your wants, must haves and vision, bring it to us and we can work with you to make it come to life! 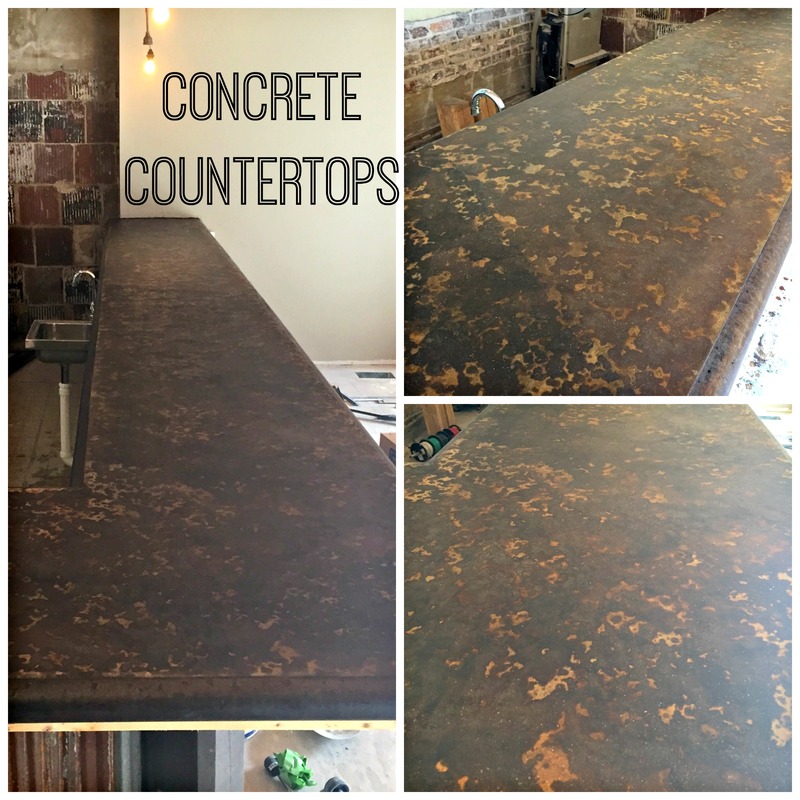 Jump on board with the wonderful world of designer concrete! 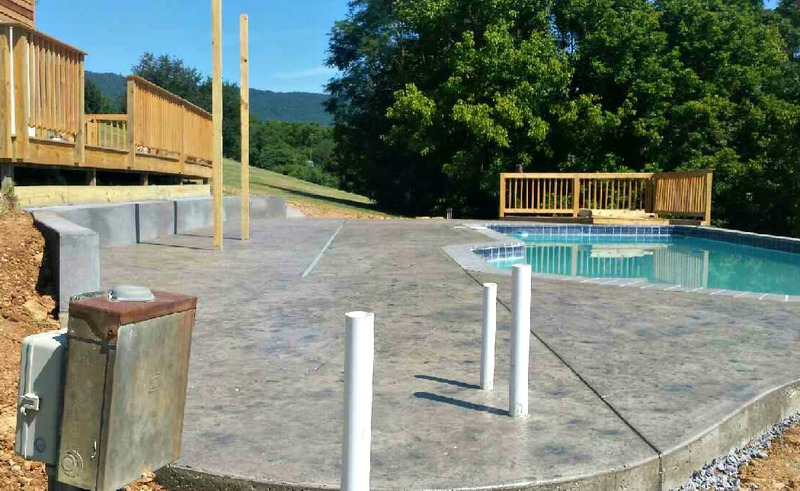 Your options are endless when it comes to working with concrete. 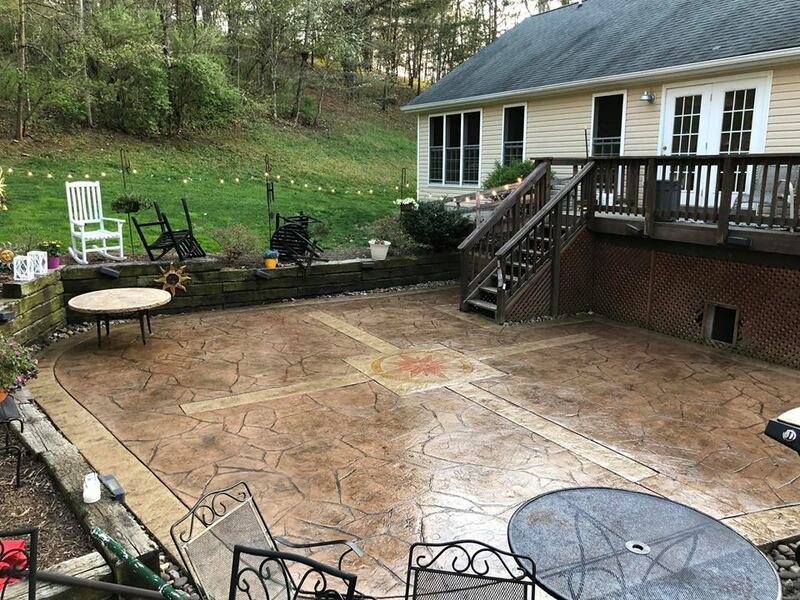 We can create any design and pattern you wish for your space. 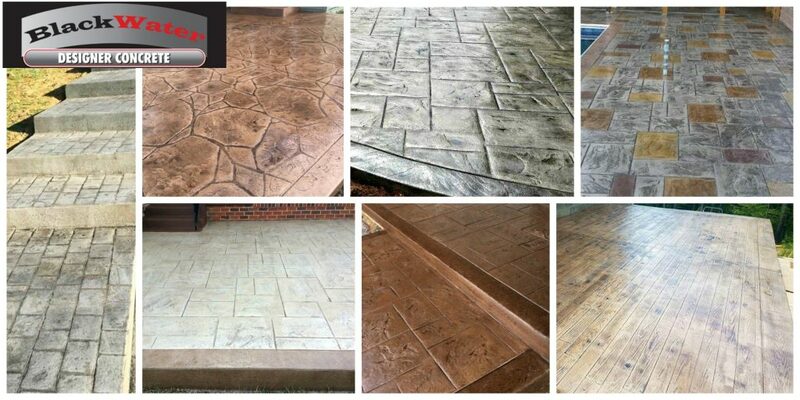 Custom staining and hand-stamped patterns allow us to customize the look and function for each individual needs of our clients. 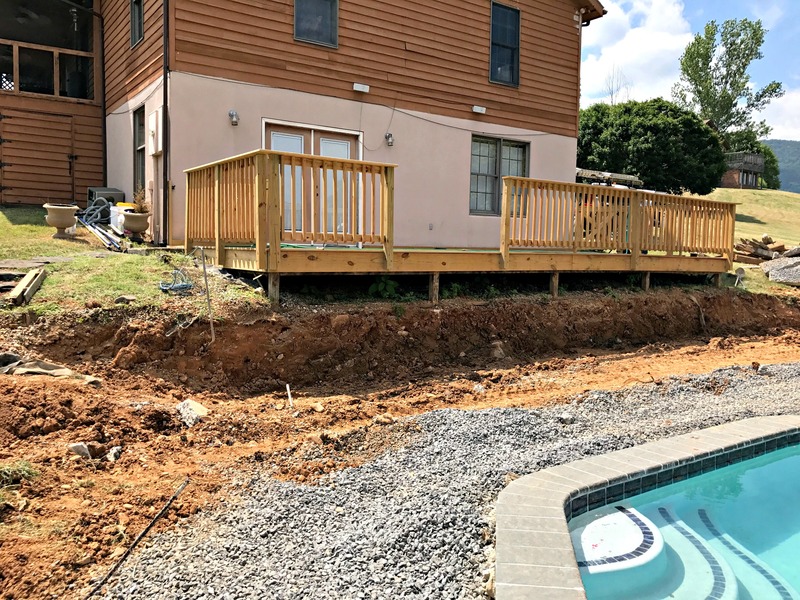 We work with you during the design phase to create a layout that fits your exact needs and vision. 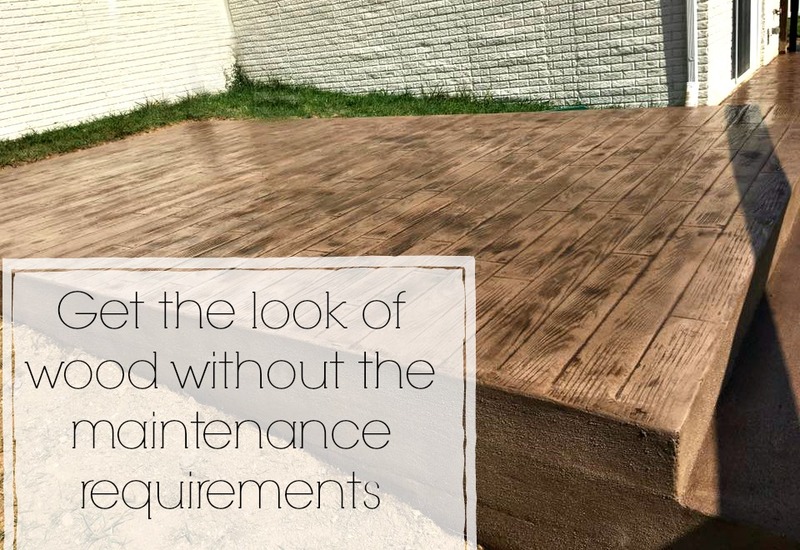 Low maintenance, concrete is the perfect solution for a long lasting surface that is visually appealing while requiring minimal upkeep to ensure longevity. 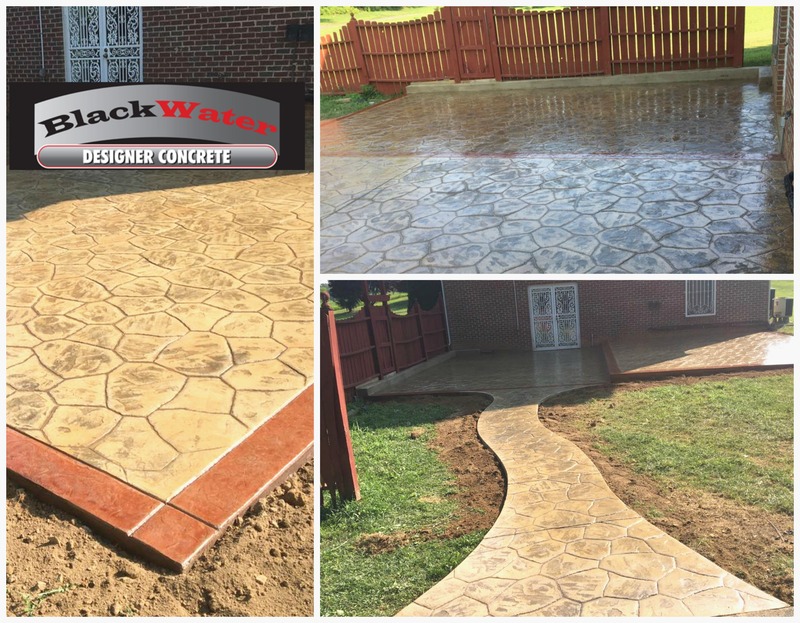 Call us today to get your free estimate and we’ll discuss the exciting possibilities you can create.